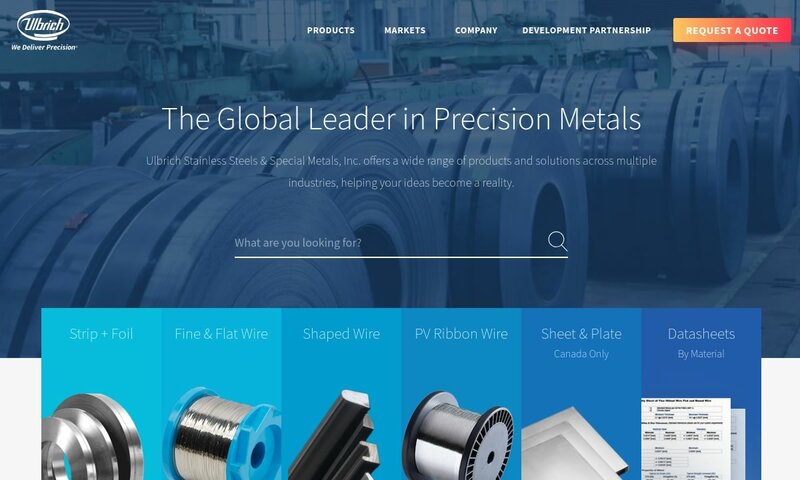 A reliable source for Stainless Steel Manufacturers information and a resource for accessing leading Stainless Steel Manufacturers and suppliers. Stainless steel, also known as chromium steel or corrosion-resistant steel, is a steel alloy made up of at least 10.5% chromium. The percentage of chromium in regular carbon steel is much lower. Its other main elements include: carbon, nickel, molybdenum, copper, manganese, titanium, nitrogen, silicon and Sulphur. Stainless steel is resilient and versatile. It is exceptionally strong and durable, scratch resistant, and does not easily rust, corrode, or stain. It is also easy to clean and sterilize. Stainless steel alloys get many of their properties from the fact that they are protected by a passivation layer of chromium oxide. This protective layer makes the stainless steel resistant to oxidation, a damaging reaction that occurs between oxygen and iron molecules in the air. If the chromium oxide layer is scratched, it can easily reform, as well as resist pores or cracking, giving the stainless steel that exceptional amount of durability we mentioned earlier. Stainless Steel Stainless steel, also known as chromium steel or corrosion-resistant steel, is a steel alloy made up of at least 10.5% chromium. The percentage of chromium in regular carbon steel is much lower. 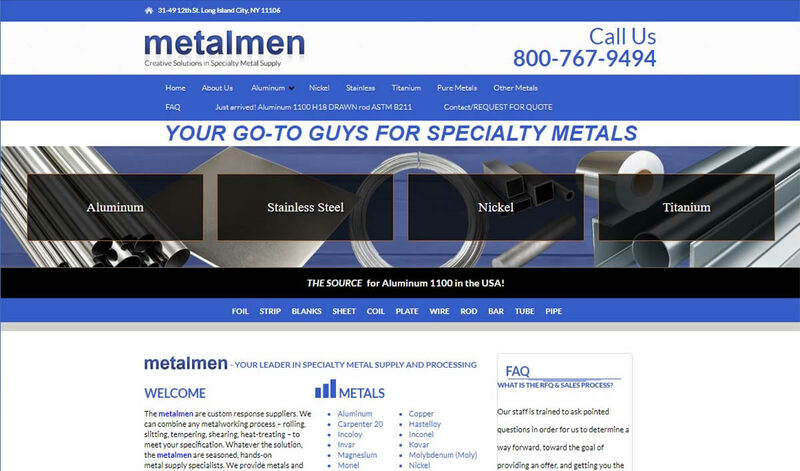 Metalmen provides worldwide distribution of all stainless steel. With our wide range of products, we offer expert market advice and complete metalworking as a custom response supplier serving industry. We provide the best products in the stainless steel industry. Our customers know they can trust us for quality, affordability, and convenience. Our multiple locations make it easy to get what you need within days! 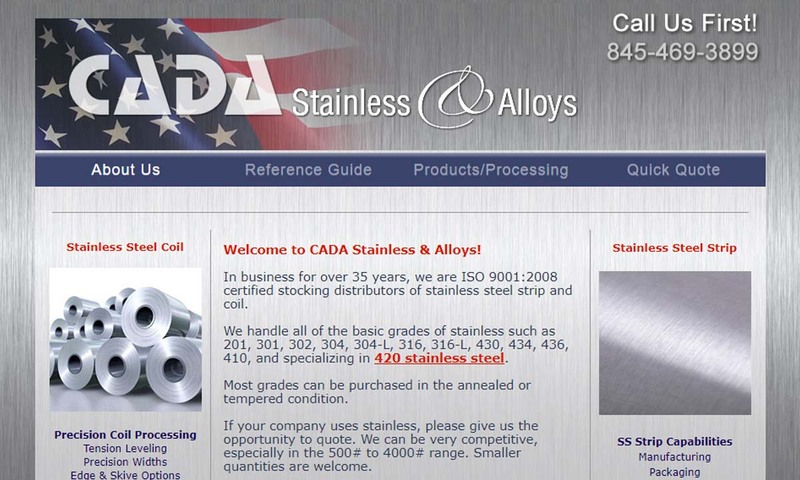 Cada Stainless is a distributor of stainless steel in strip, coil & sheet. All grades of stainless steel available- annealed, tempered in 301,302,304,316, straight and L grades, 17/4, 17/7, 420,430,440, temper rolling to specific thicknesses & tolerances available. When people think of stainless steel they think of us! We strive to achieve 100% customer satisfaction in order to keep them coming back to us for all of their stainless steel needs. 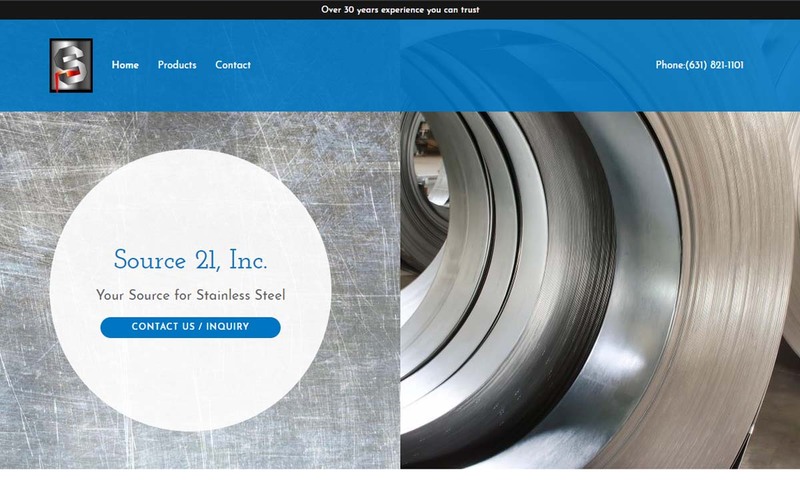 Ulbrich Stainless Steels and Special Metal was founded in 1924 by Fred Ulbrich after becoming aware of the industry’s need for good quality scrap. Specializing in stainless steel, alloy steel, and other specialty metals, Ulbrich Stainless Steels and Special Metals serves a variety of industries from aerospace to automotive. 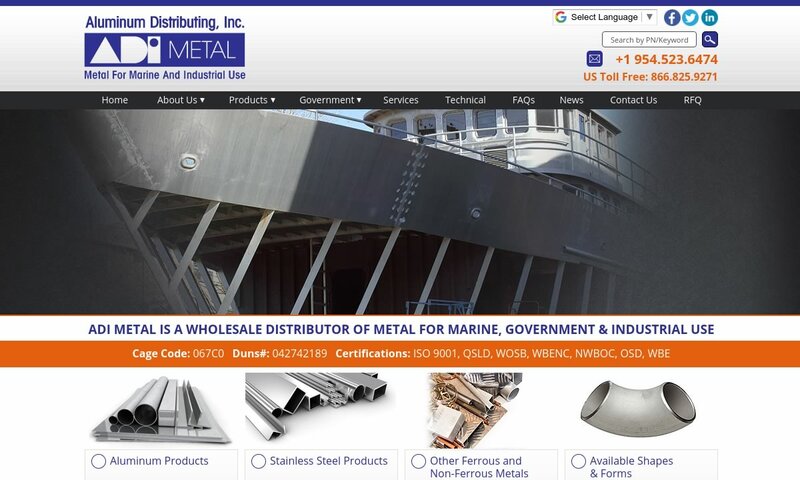 Aluminum Distributing specializes in marine grade aluminum and stainless steel. Please visit our website to see alloy grades that we provide. We service industries such as ship building, marine refit, construction, metal fabrication & cruise ship refurbishment. Stainless steel was officially developed around the turn of the 20th century. However, scientists began inching towards its development about 80 years before then. French metallurgist Pierre Berthier kicked things off in 1821, when we observed that iron alloyed with chromium does not corrode. After observing this, he recommended that manufacturers use chromium-iron alloys to make cutlery. Unfortunately, at this time, manufacturers had neither the knowledge nor the equipment to make a good stainless steel. All of the alloys they managed to make were highly brittle. In 1872, British metallurgists Clark and Woods finally managed to create a good stainless steel alloy. Then, around 20 years later, when Hans Goldschmidt invented a thermite process that allowed chemists to make carbon-free chromium. Later, chemists used this process to manufacture higher quality of stainless steel. Once they were able to make modern stainless steel, researchers wasted no time figuring out ways to improve it and apply it to manufacturing processes. Between the years of 1904 and 1911, researchers like Frenchman Leon Guillet created countless stainless steel varieties. This quickly paid off, and in 1908, a German manufacturing company named Friedrich Krupp Germaniawerft built the first stainless steel-based sailing yacht. The 366-ton yacht featured a chrome-nickel steel hull. Then, in 1912, while trying to find a corrosion resistant steel alloy he could use to make gun barrels, British metallurgist Harry Brearley stumbled across the formula for martensitic stainless steel. Also, in 1912, two Krupp-employed engineers, Eduard Maurer and Benno Strauss patented a version of austenitic stainless steel, which they called Nirosta. Not long after the development of martensitic stainless steel, a British company named Firths Vicker patented martensitic stainless steel and sold it under the name “Staybrite.” Brearley later partnered with American Elmwood Haynes, who had already patented the steel product in the United States, to form the American Stainless Steel Corporation. After the formation of this company, the use of stainless steel became commonplace, and by 1929, manufacturers in the United States alone had fabricated and sold over 25,000 tons of the metal. Stainless steel went on to play an important role in the creation of countless products, including WWII military equipment, industrial machinery parts and much, much more. Today, stainless steel is an incredibly popular material that is produced and sold all over the world. Producers today focus heavily on sustainability and lowering costs. The stainless steel fabricating process allows stainless steel manufacturers to produce it in a variety of parts and forms. Let’s go over the steps of that process now. The first step involves melting raw materials together for 8-12 hours in an electric furnace. Once the molten material reaches a recrystallization temperature, it continues to the next step, where it is cast into a certain form. Depending on their shape, these forms may be known as slabs, rods, blooms, billets, or tube rounds. The unfinished forms are put through a hot rolling process. Slabs are formed into foil, strips, plates, and sheets, while blooms and billets are formed into coil, bars, and wire. In the next step, the steel is put through heat treatment and cooled through air hardening. The level of hardness of the steel depends on how long the steel is allowed to cool. Once cooled, the steel is cleaned of buildup by way of electro cleaning or pickling. In the final step, the steel is cut to the desired shape. The steel can undergo further processes such as hot rolling, cold rolling, or annealing in order to achieve a matte or shiny finish. Stainless steel is available in 150 different grades. The grade of stainless steel is determined by strength, alloy, resistance to temperature, and the application. These grades can then be classified into 4 different groups, depending on their mechanical properties and their resistance to corrosion. Stainless steels 200 series types are a combination of manganese, chromium, and nickel, and are non-magnetic, making it the most attack-resistant series. The 300-level series are very similar, but contain more chromium and nickel. The most corrosion-resistant type is the 316-stainless steel type, due to its high ratio of nickel. The 400 series contain a high amount of chromium, and a low amount of manganese, giving it a poor corrosion resistance. One example from within this series is 420-stainless steel. Finally, the 600 series can be resistant to chloride and water if given the right amount of heat treatment. Stainless steels of the 600 series are also known as precipitation hardening stainless steel. These series of stainless steels can be categorized under the umbrella of three main types—austenitic, ferritic, and martensitic. Each of these stainless steel types combine varying proportions of nickel, carbon and molybdenum. The first type, austenitic stainless steel, accounts for roughly 70% of fabricated stainless steel. It contains the highest ratio of the three main stainless steel types. Primarily, these are 200 series and 300 series stainless steels. Austenitic stainless steels contain a minimum of 16% chromium, a maximum of .15% carbon and enough manganese and/or nickel to maintain their structure. The most common grade of austenitic stainless steel is 18/10. This alloy is highly corrosion resistant, impact resistant, durable, and they are resistant to extreme temperatures. Because of this, customers with cryogenic applications use this alloy extensively. Ferritic type stainless steels contain anywhere between 10.5% and 25% chromium and a very small amount of nickel. Other common elements include: titanium, aluminum, lead and/or molybdenum. Ferritic stainless steels are known for their superior engineering qualities and their relatively low cost. While they have high corrosion resistance, theirs is not as strong as that of austenitic type stainless steel, due to ferritic stainless steel’s higher carbon content and lower nickel content. Martensitic stainless steel has a lower corrosion resistance than austenitic and ferritic stainless steels, but its higher levels of carbon and molybdenum make it exceptionally durable and tough. In addition, it is highly machinable. 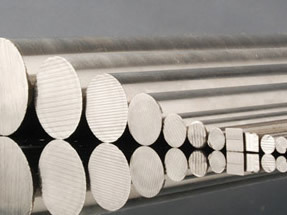 Martensitic stainless steel contains 12% to 14% chromium, .2% to 1% molybdenum, .1% to 1% nickel and less than 2% carbon. If a martensite stainless steel is of a certain type, it can be transformed into austenitic stainless steel with the addition of chromium and heat treatment. A less common stainless steel grouping are duplex stainless steels. These stainless steels are designed to have be about half austenitic and half ferritic. However, many commercial alloys are closer to 40% austenite and 60% ferrite. Either way, duplex stainless steels are exceptionally strong and resistant to: stress corrosion cracking, localized corrosion, crevice corrosion and pitting. A wide assortment of stainless steel products and shapes of stainless steel can be found at a steel service center. Some of the shapes stainless steel suppliers provide include: stainless steel foil, stainless steel wire, stainless steel strip, stainless steel bars, stainless steel plate, stainless steel coil, stainless steel tube, stainless steel pipe (seamless pipe), stainless steel sheets, and stainless steel rods. Using these shapes, manufacturers can make a variety of products, including: kitchen supplies, tableware, electronic appliances flatware, laundry equipment, sinks, kegs and, vats, silos, and large kitchen equipment. There are so many reasons to choose stainless steel. First, stainless steel is sustainable, as it is both recyclable and reusable. This is good for the environment, and it also translates to monetary savings for all parties involved. Another great thing about stainless steel is its versatility. Available in 150 different standard iterations, there’s a stainless steel for every application. Next, stainless steel is incredibly durable and strong. Finally, unlike many lesser metals, stainless steel doesn’t need a special coating or finish is order to resist attacks from corrosion, abrasion and the like. 1.  Does the manufacturer offer the services you need? 2. Can they meet your specifications and requirements? 3. Is the manufacturer willing to create a high quality stainless steel product while working within your budget? 4. Can they produce quality work within your timeframe? 5. Is the manufacturer certified by ISO or a comparable standards institute? If not, can they create certified products? 6. Do their products meet the rigorous safety and quality requirements set by the ASTM (American Society for Testing and Materials)? 7. Do they do custom manufacturing? 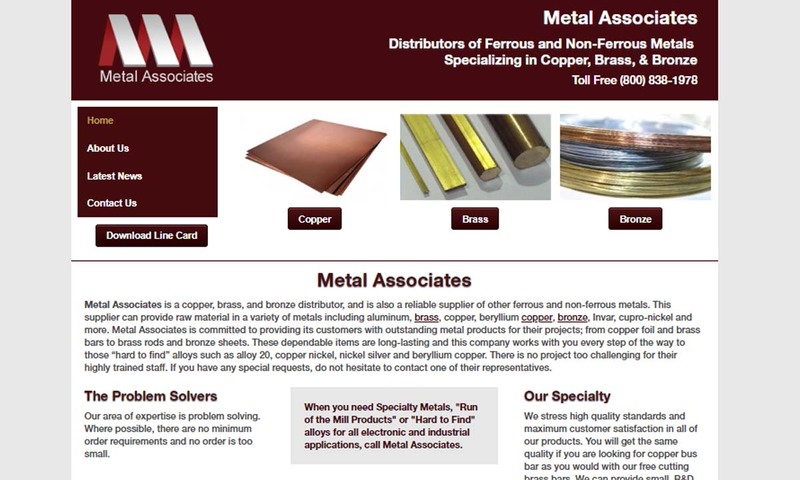 To find a high-quality company that you can trust, check out the stainless steel company profiles that we have peppered throughout this page. Stainless steel is both produced and traded in the United States and internationally. Many American steel service centers not only produce products for domestic patrons, but foreign ones as well. Likewise, many American companies import their stainless steel materials from international stainless steel fabricators. In 2015, North America registered as only the third largest producer of steel. They trailed behind Asia and Oceania, and the EU. Because of the competition throughout the world, domestic steel prices have risen, making it more appealing to American customers to opt for steel imports. Despite the fact that you can get stainless steel cheaper by importing it, there are many reasons to work with domestic suppliers. First, you may find that communication is not always as easy when working with an overseas company. If you and your supplier do manage to sustain a miscommunication and you receive a product that does not meet your specifications, you will have more trouble getting a replacement. At the very least, it will take longer to return the product and receive a new one. In addition, when you work with an American company, you can feel more comfortable that they will adhere to U.S. safety and quality standards.